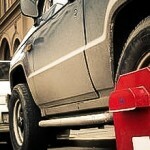 The Public Premises Offence Administration System | Mininform Ltd. Looking to reduce paperwork in public premises administration? The PUBLIC PREMISES system does just that, so the attendants can spend their time where they are needed most – on the public premises. The software manages a comprehensive record of offences on public premises by preparing the obligatory monthly and annual reports for the councils and all other authorities. It logs penalty payment information and instantly runs data queries on penalties by types of offence and other criteria. Ready-to-use templates for correspondence plus payment notice and recorded delivery note printing options will make most of the paperwork obsolete and help prepare complete documentation for cases of several days in a matter of minutes. The attendants can input data to the PDAs and issue documents with the mobile printer on the spot, so cases are readily available to be processed at the central database. To make maintaining order in municipal areas easier we have recently introduced a new feature to PPOAS. With the help of the OBSERVATIONS module, attendants can notify public service providers if they notice anything unusual or out of order, such as the lack of a street sign, vandalism in a bus stop or falling plaster.